Observation - WHITE HEADED MOTH - UK and Ireland. 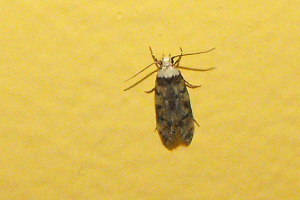 Description: Small brown moth about 15mm with a white head and shoulders came to light. Small brown moth about 15mm with a white head and shoulders came to light.